For someone who this time last year didn't know much about serums, I have certainly built up quite a collection. There are many out there and I think the first step in deciding which to pick is to think about what you want from your serum and go from there. What works for one person's skin may have an opposite effect on yours, and it's certainly too late when you have already spent £30 on the newest, hyped product and it doesn't live up the expectations for you. 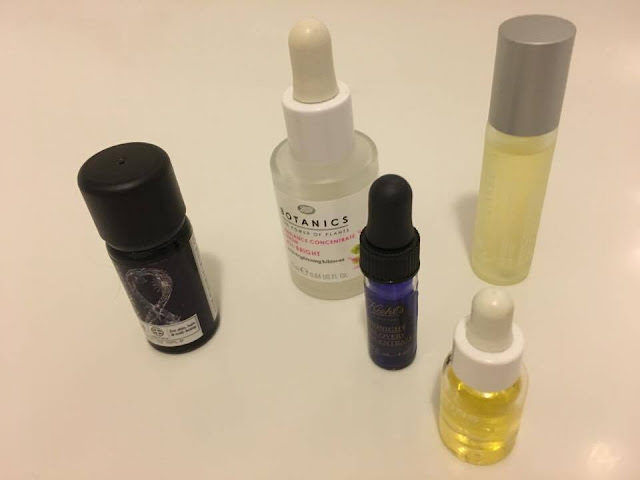 Here in this post are a a few of the serums that I have tried this year, and my thoughts on how they have worked for my skin (or in some cases not worked). I have blogged about this previously last year, I was a huge fan then and still am. I think if you are unsure whether you can add a serum into your routine then this Botanics, is a good start. I found this was easy to add into my routine as it is quick drying, doesn't feel too heavy on my skin and within a week of using it my pores became less noticeable, and my skin felt more radiant. After my success with this I was keen to give other serums a go and see what else was out there. I have been using this for the past few months and I still think it gives a mixed bag of results. I persisted with this one in an attempt to fall head over heels in love with it but I just think its not the one for me. From reading about the product, it did sound like we were a perfect match, it supposedly helps to restore a healthy balance in your skin's oils and helps to reduce the appearance of pores. I just found that when I used it, the texture was too heavy, even with one pump, it was really thick and took ages to dry. I did try to use this at night but I was still waiting for it to dry before I could go to sleep. When the serum did eventually dry, I woke up to a healthy glow but my skin had a breakout, so this did out-weigh the glow, as I had some nasty looking spots. My skin is a combinational so I do need to be careful of anything to heavy as this can cause my skin to breakout. So I have tried using this in the morning instead of at night but both times my skin has had some angry looking friends appearing as a result. I think this would suit someone who had dehydrated skin and needed more moisture adding rather than trying to balance out the oil with more oil. This is Kiehl's most popular crazed-over product and I must admit at first, I did wonder what all the hype was, as it is only an overnight serum in a little bottle, but you do really have to try this out for yourself. I use this after I have gone through my night time skincare routine and it has usually been best when my skin isn't behaving how I'd want, having tried every remedy but nothing seems to be working... I only use 1-2 drops as thats all my skin needs but if your skin is a little dehydrated you may need more. Once applied, this dries quickly so it's not greasy and you don't have to wait around or worry about it going all over your pillows. When I wake up in the morning, my skin looks noticeably more awake and has a really healthy glow like I have been sleeping for days. This isn't really a serum. It has been marketed as a multi-purpose oil that can be used on your skin, hair and nails. It contains only natural ingredients that have the highest quality and has been proven to help with acne, wrinkles and Psoriasis. When I have used this, I applied it at night as a final step in my skincare routine. I found it to be a little heavy on my skin and I felt like it wasn't allowing my pores to breathe, so this could cause breakouts. The bottle also doesn't have a pipet so you have to pour it out, which for me is an accident away from pouring it all over my hand and wasting the whole bottle. As this is a multi use product, I have used it on my dry ends and it has worked wonders. I put it on my ends before washing. Due to the texture of my hair and the oily texture of this product, I thought it would make my hair feel a little greasy, but it does make my ends look a little healthier. As a product that is claimed to be proven to help with skin conditions, I just don't think this is the product for me. I got this serum along with the hot cleanser as a duo and these pair have worked wonders on my skin. At this time of year, I love hot cleansers as they are like a nice warm hug on your face to remove any make-up and anything that has collected on your skin throughout the day. I have applied this after cleansing and toning usually just before bed. I think the lavender in this product is really relaxing and can help me wind down after the day. I think this serum is a win win, it is non-greasy but quick drying and in the morning my skin does look radiant and I have less noticeable pores, so then it means I wear less make-up as I feel more confident about my skin. I think this is going to be kept in my skincare routine for a long time as I just love how it makes me feel when applying and how my skin looks afterwards, glowing and full of health. 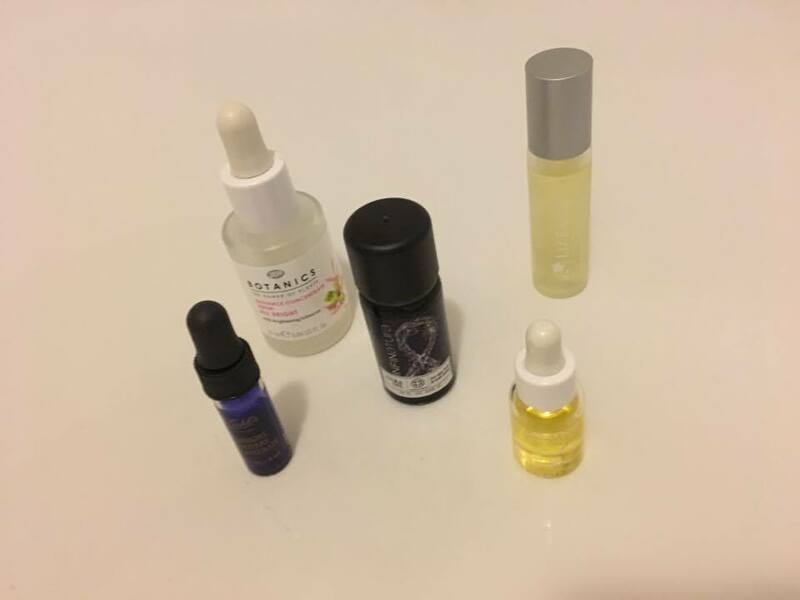 This is a mixed bag of reviews but I think to find the right serum for you, you really do need to try out a few for yourself. I would love to know which ones are your favourites so I can give them a try. 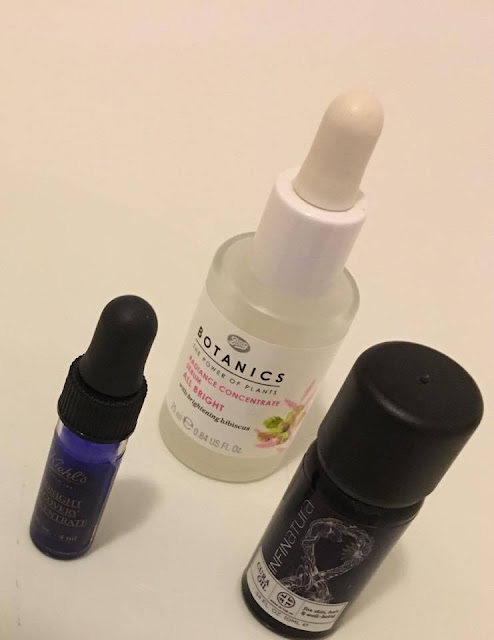 *Some of the products in this post, I have been gifted as a PR sample but the words and thoughts on the products are my own.